Things To Do Akaroa & Banks Peninsula. Dolphin Swim, Boat Trips & Nature Tours. Home / Things To Do Akaroa & Banks Peninsula. Dolphin Swim, Boat Trips & Nature Tours. Just over an hours drive from Christchurch, Banks Peninsula is the South Island’s most interesting volcanic feature, formed following the violent eruptions of two volcanoes resulting in the picturesque harbours of Akaroa and Lyttleton. 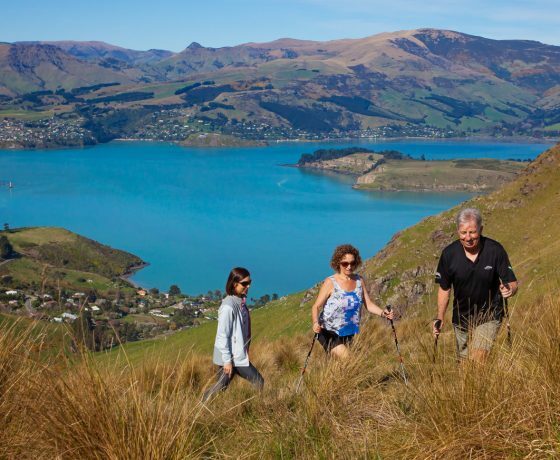 Banks Peninsula that deserves plenty of time to explore all it offers and is a popular destination for keen walkers with options of short strolls to challenging walks visiting many beautiful bays and beaches which are part of the breathtaking scenery. Located on the south east side of the deep, sheltered Akaroa Harbour, the charming township of Akaroa has a special point of difference being the site of the only attempt to establish a French settlement in New Zealand. Explore the village with its colonial architecture, galleries, craft stores, and cafés with much of the architecture, the street and shop names and restaurant cuisine with an obvious French feel. Akaroa has an enormous range of activities to keep you busy for days. Take a 4WD trip to the largest little penguin colony on mainland New Zealand, enjoy a harbour cruise on the Akaroa waters home to the rarest and smallest marine dolphin the Hector’s dolphin, all around you will find fantastic sea kayaking in spectacular surroundings, there are cruises, sail boats, cycle tours, surfing, sailing, mail runs, and an excellent range of walking tracks too. 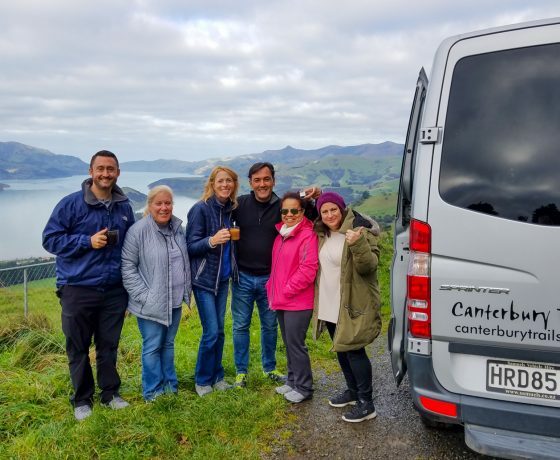 Canterbury offers so much to see & experience being easily accessible in a day trip from Christchurch, there's no excuse not to get out there and explore! Enjoy the ultimate dolphin experience by swimming with the Hector's Dolphin, and viewing them close up in their natural habitat. 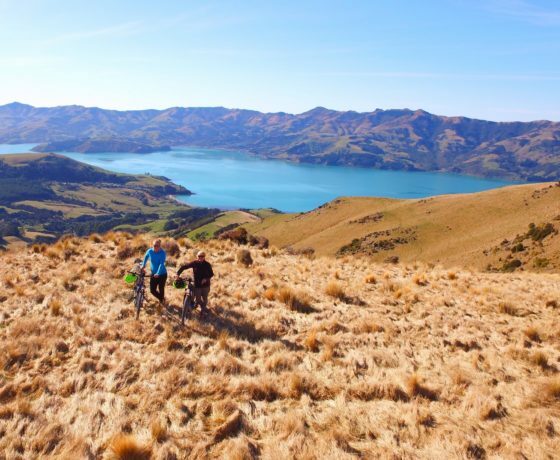 Akaroa Electric Mountain Bike Hire & Guided Tours. Akaroa’s electric bike hire and guided tours is a fun way to explore the Akaroa region just set your E-Bike assist level to suit you. 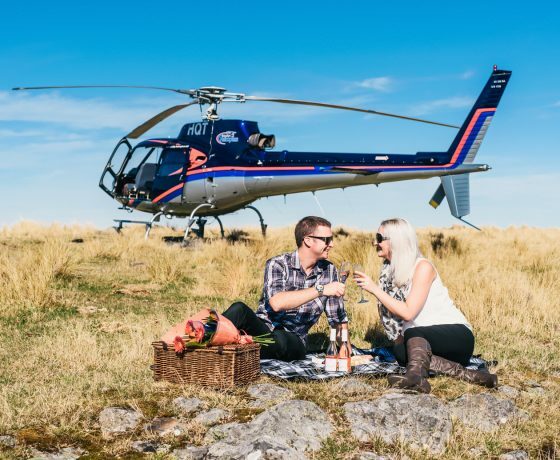 Join Garden City Helicopters on an adventure of a lifetime to discover the very best scenery Christchurch & Canterbury has to offer. Sailing Akaroa Harbour on a true classic 85 year old, 50 foot ketch. 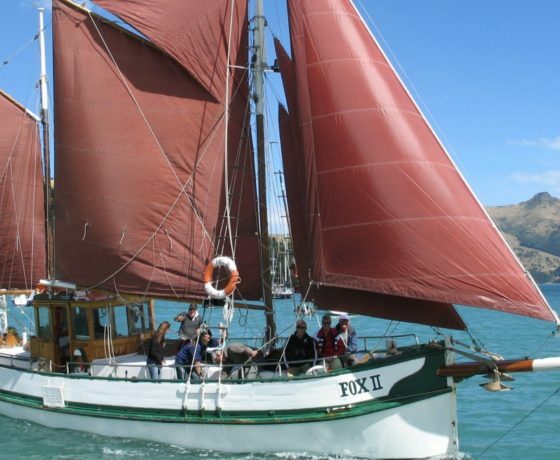 FOX II is a special way to experience the beauty and history of Akaroa. 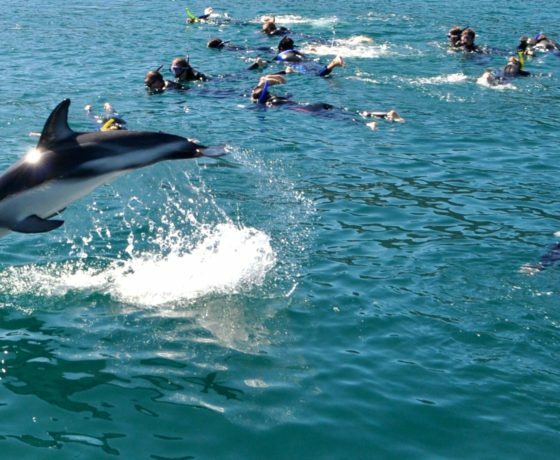 EcoSEAker Dolphin Swim & Wildlife Tours Akaroa. 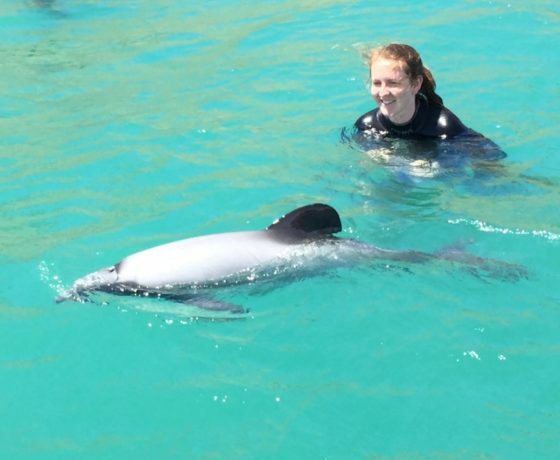 Akaroa harbour is one of the only places on the planet where you can swim with the Hector or New Zealand Dolphin. Crater Rim walks provide guided day walks on Banks Peninsula, a spectacular scenic extinct volcano just 30 minutes from Christchurch. 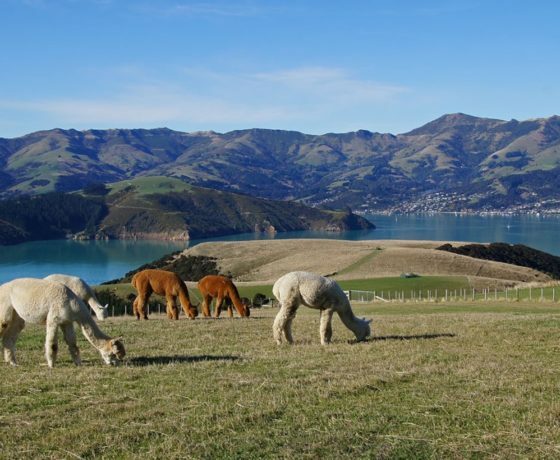 Shamarra Alpaca farm offers a tour with a difference and only 20 minutes drive from Akaroa on the western side of Akaroa Harbour. 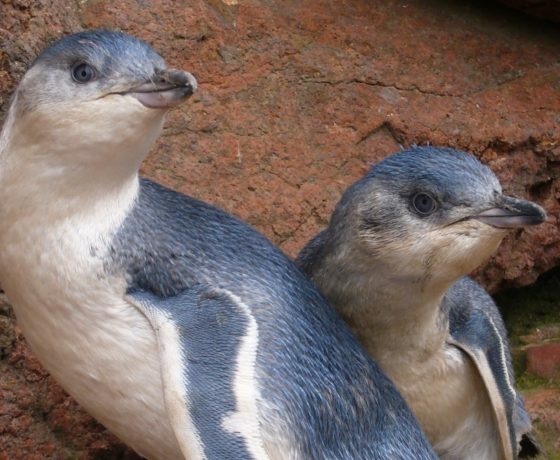 Pohatu Penguins offers adventure & wildlife tours and packages to explore Akaroa's diverse landscape.